Recently Moth Clothing website HERE got in touch with me and asked if I’d like to try out some of their clothing and being a huge fan of their instagram and yet to try their clothing I said yes. I was scrolling through pages of bell sleeves, leather, embroidery and lace. It was quiet hard for me to choose and there were so many incredible pieces! I loved THIS studded jacket and THIS dotty mesh dress. I was really spoilt for choice. In the end I choose something that was really out of my comfort zone, something I think is a real trend piece at the moment. 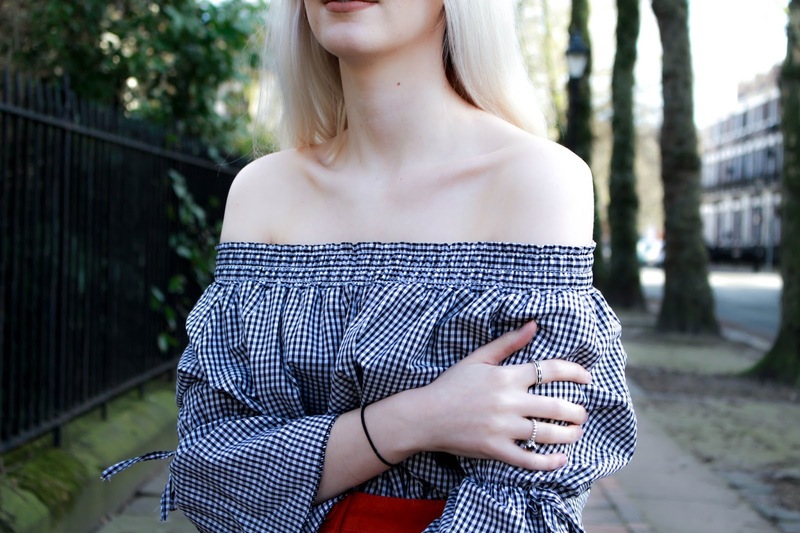 I was very kindly gifted this off the shoulder gingham top. Something I would never usually pick but I thought I’d take the risk. 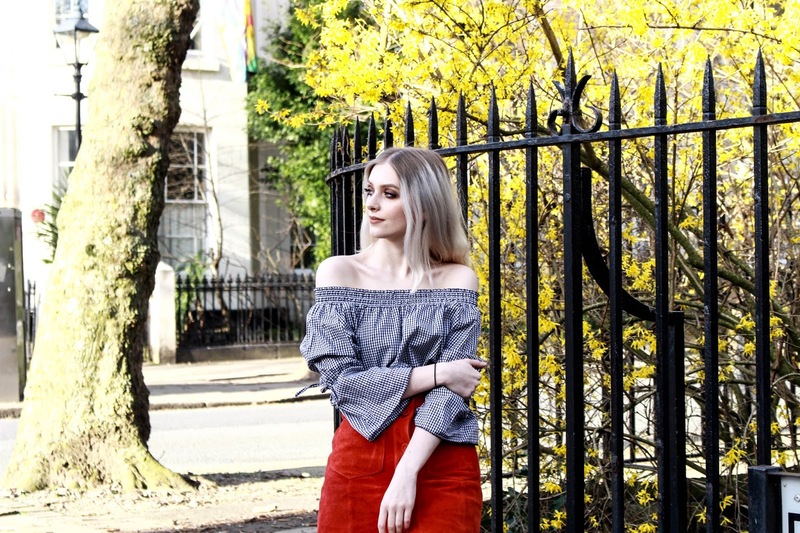 The risk was worth it as I am in love with this top and styled it with a bright tomato red skirt and my converse. 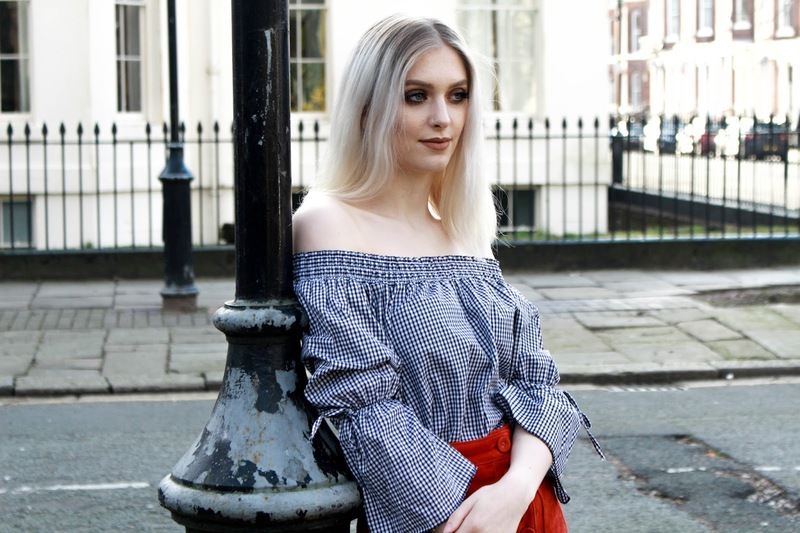 However, I do think this top is pretty versatile and will go with lots of different pieces from shorts to jeans and even some culottes. At the moment I’ve been really living for the gingham come back. It is a pattern I can really adopt into my wardrobe as it makes a statement but isn’t crazy! I also love how in trend packs it’s always paired with a bright colour like electric orange or a hot pink. Here I wanted to add a pop of colour as I’m usually so drab in all black. 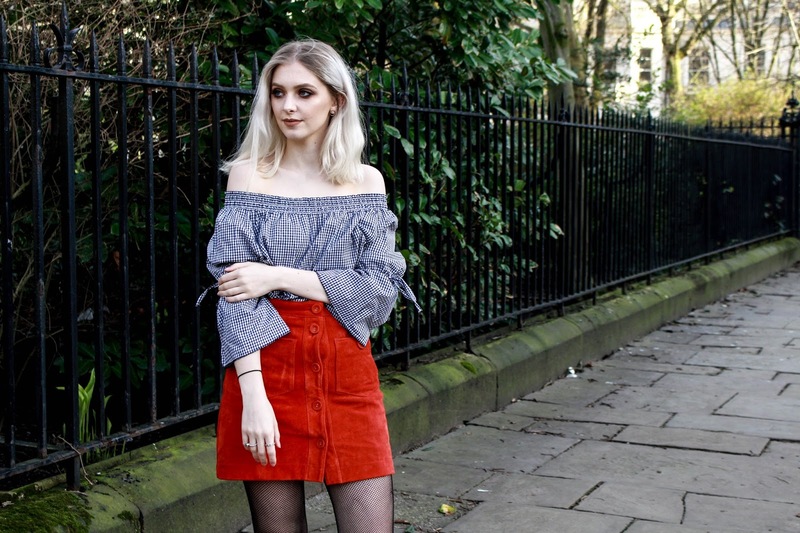 My pop was of course this orange skirt, one of my favourite pieces in my wardrobe I love to wear when I am feeling daring to make a statement. I’ve got to admit I feel I am becoming more daring wearing more warm tones like red and orange, even some pink! Previous Post 5 Weekly Highlights!